Wow! 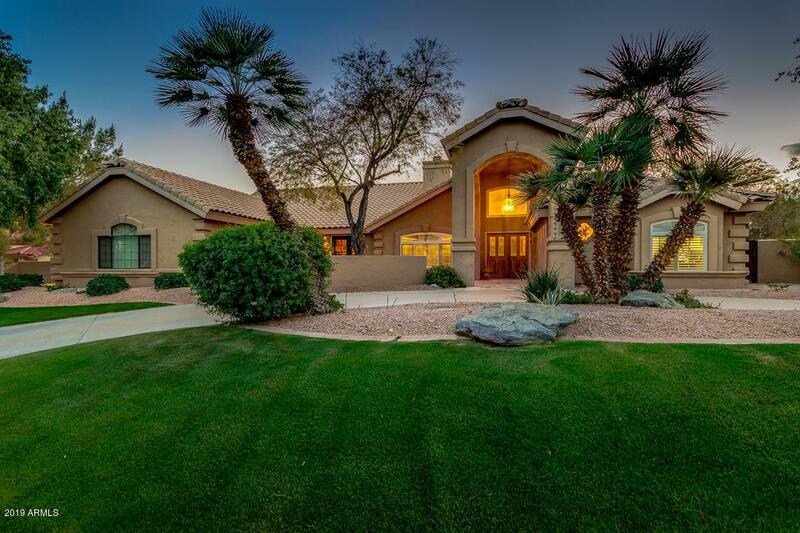 What a beautiful custom home located in Ahwatukee Custom Estates. This property sits on a great corner lot with circular driveway in front and 3 car garage on side. 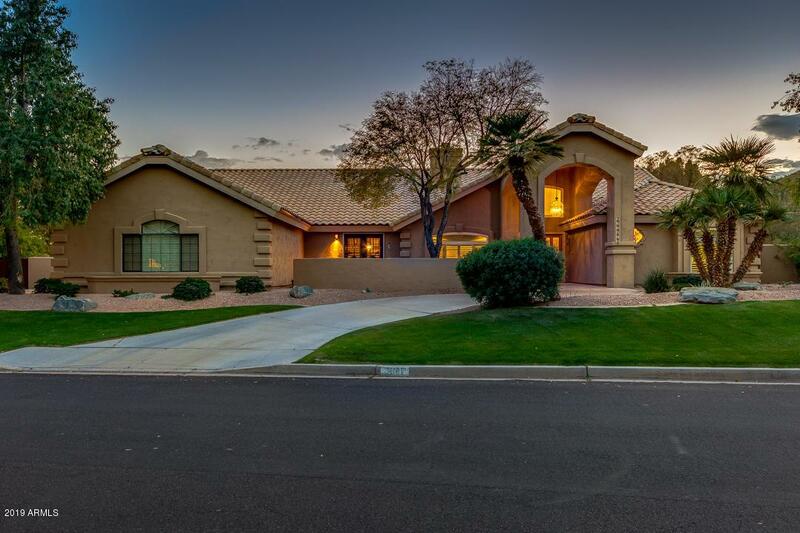 Single level, split floor plan with 4 bedrooms and 3 full bathrooms! Large eat-in kitchen with island opens to huge family room area with wet bar and two way stone fireplace to living room! Large master bedroom with separate exit and private patio in backyard. Plantation shutters. Backyard paradise with travertine paver patio and pool deck, glass tile pool and spa. 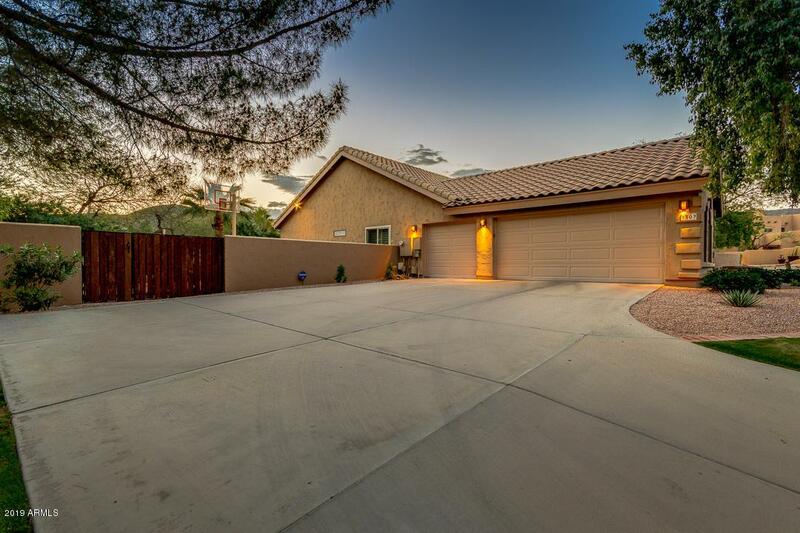 Also don't forget to notice the sports court, RV gate and amazing views of South Mountain. 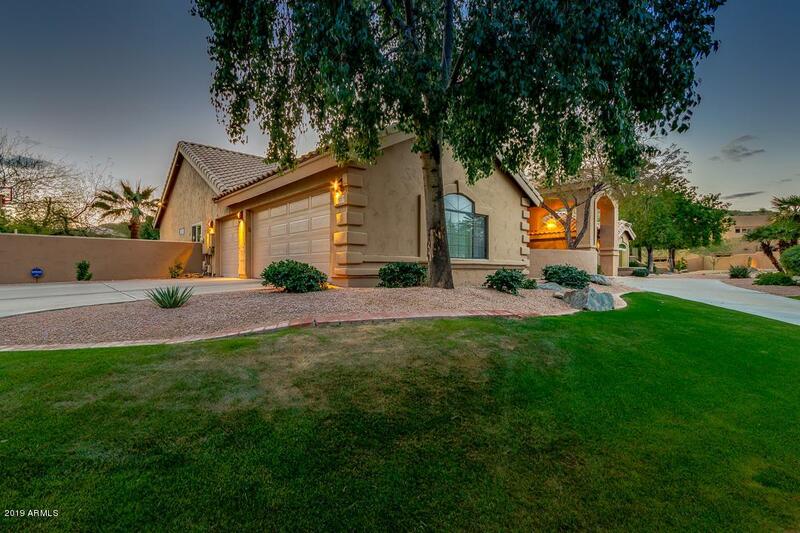 Close to hiking trails, excellent schools, shopping and much more. Roof underlayment replaced in 2017, HVAC installed 2016, Anderson Windows installed 2010.